Mohave County Arizona Real Estate is the perfect choice for your family to enjoy life to its fullest. Mostly sunny year round, great for out door living and close to some of the best sites in the USA. Dale Lucas at ERA Real Estate Professionals welcomes you to Kingman. Kingman is the county seat for Mohave County and is at the Heart of Historic Route 66 longest remaining stretch. The community is a growing as an economic and tourism hub, and this has increased substantial growth over the last 15 years. According to the 2010 census, the population of the city is 28,068. The nearby communities of Butler , New Kingman Addition and Golden Valley bring the Kingman area total population to over 66,000. Mohave County Arizona Real Estate is available for you and your family to enjoy. Kingman is located 33 miles (53 km) east of Bullhead City, Arizona, 85 miles (137 km) southeast of Las Vegas, Nevada, about 150 miles (240 km) west of Flagstaff, Arizona, about 60 miles (97 km) northeast of Needles, California, about 165 miles (266 km) northwest of Phoenix, Arizona, about 205 miles (330 km) east of Barstow, California and about 250 miles (400 km) northeast of Los Angeles, California and is at 3,333 feet in elevation. According to the United States Census Bureau, the city has a total area of 30.0 square miles. 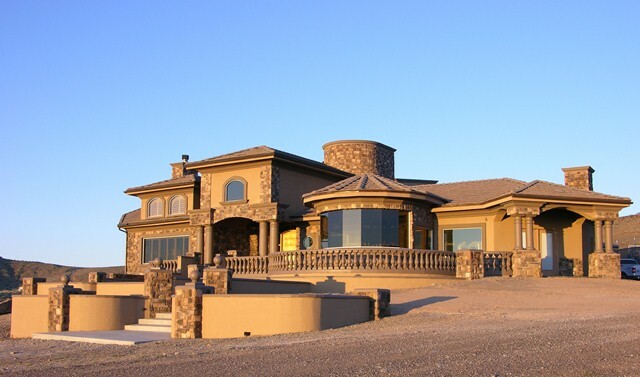 Our Mohave County Arizona Real Estate offers a wealth of options and possibilities for you and your family. Kingman, is a High Desert community surrounded by mountains with gorgeous sunsets in evening hours. There is no better way to relax in the evening after a hard days work. Kingmans location is both secluded and accessible, scenic and relaxed. There are a wide range of outdoor recreation from golfing, boating and hiking. Kingman features an eclectic collection of restaurants as well as a charming, historic downtown. You can find stunning view in most every direction. Its close enough to Laughlin, the Colorado river and Bullhead City so your never far away from boating and great entertainment. Because of our proximity to Sedona, Williams, Flagstaff and the Grand Canyon you can enjoy a weekend getaway. The southwestern climate fills most of our days with sunshine and is great for outdoor activities. Whether you intend to sell or purchase Dale has the skills and resources you need. As a Realtor with many years of experience he will offer your family comprehensive reliable service. Mohave County Arizona Real Estate is Dales’ area of expertise. He has knowledge of the area and experience that stem from extensive professional negotiation skills and years of middle to upper management. There’s more information to discover relative to Mohave County Arizona Real Estate, Kingman, AZ homes for sale, and Kingman, Arizona foreclosures within the pages of this site. You can find area information, walk scores from the property you are considering, restaurants, hotels, area sights and relocation information. Browse through Mohave County Arizona Real Estate on mohavecorealestate.com and please feel free to contact Dale Lucas at any time if you’re ready to make the move or you just have more questions. We are here to serve you throughout Mohave County Arizona! We are holding a lunch & learn for Realtors in the Bullhead City AZ area. In order to attend you must RSVP – Seats are limited Reserve yours today! We are holding a lunch & learn for Realtors in the Kingman AZ area. In order to attend you must RSVP – Seats are limited Reserve yours today! We are holding a lunch & learn for Realtors in the Las Vegas area. In order to attend you must RSVP – Seats are limited Reserve yours today!